I am sitting here in Jaipur,India, and just heard word that Windsor Riley unexpectedly passed away in his sleep. As Bhagavan Adi Da said, “Death is a Perfect Insult” and I am saddened by this untimely transition. I will miss Windsor. Our community is full of “jewels”, all attracted by Bhagavan Adi Da into His Company, His sangha. To His Eye we were/are very humble. That is certainly true. With such great Gifts and such Revelation, and we all balking and dragging our heals? 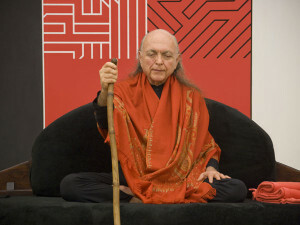 But on the other hand, we did recognize Adi Da’s Greatness, and came together to help create the Sanctuaries, to Celebrate Him,, to publish His books, to acculturate in our humble ways, new devotees. He was always the Inspiration and the Guidance, and the Heart of it all. The ragtag group that we were/are gave our lives and our energy to the creation of Shree Hridayam Satsang, The Dawn Horse Communion, The Free Primitive Church of Divine Communion, the Advaitayana Buddhist Fellowship, the Crazy Wisdom Fellowship, The Laughing Man Institute, Adidam. Windsor always epitomized for me something about all of us. He was rough around the edges–but he showed up. 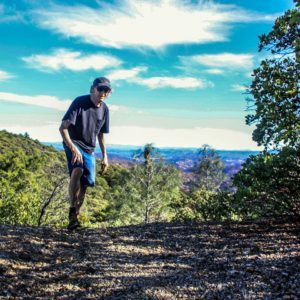 He recognized Adi Da and he participated even in the midst of whatever human life problems he might have been dealing with. Sometimes I wouldn’t see him for a while and then he would be back and around again. There to celebrate our Guru, the Great One that we have stumbled upon in this wilderness of the world. Windsor had just come to one of the book club meetings on Ramana Maharshi earlier this month. And he and I had talked about putting some of his poems on the website. He had just sent me eight poems for me to consider . And so, now posthumously, I will post them here. Hi James. I’ve got about 150 poems written between ’95 and 2003. The most productive period was in the 90s. Most are less than a page. 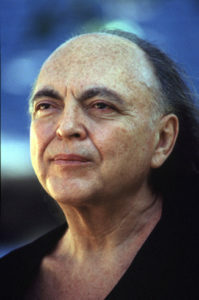 The major inspiration and instruction was Adi Da reading His and Dylan Thomas’ [poems]. Small pieces of the Teaching spontaneously appear here and there. A few go on for several pages. One a Mummery book inspired metaphysical odyssey called “Avocado Pearls”. Here are a few. One called Nothing Less won a spot in some poetry publication. So here are the poems. I will begin with “Milestones”, which in some interesting way can now serve as Windsor’s own milestone. In some ways, all the poems serve that function. There are eight poems in all. From here it looks totally open. Everyone on the only thing they are. Aimless adherence to a reckless life. And making the best of it. Can’t get a lot out of it. Gonna really get it on! Take it to the nines! Go out in a bang! Small time citizen loses it. “He was a loving father. A real boon to the community. If you search for God you will be disappointed. in the arms of everyone. My hair is full of dynamite. People want me out of town by sunset! Truth is, I’ve hardly begun! as they are destined to do. The bounty of the bread and wine. devil of attention his due. in the even prayers of the day. and God does the rest. Ain’t no Jesus here for me. come to my party and yell in my face! and if your lucky strike it rich! Turn a trick with the devil. slow and crazy behind the senses. Run around game in the passage of time. it has no purpose here. a simple spin on the absolute. you best hold no doubt. Like a molecule dusted with charms. In the quick of the earth. In a chainless mass of ecstasies. A slow train to God. A sultry muscle stalks the night. Long in the tooth for sexual delight. The eyes of the stars. On the mirror of shouts. For the people who know her not. That rolls from her shoulders. And so crazy with sweet love. Welling up in the spine of a race. From the forest of greed. On a wheel of hatchets. It’s all Hindu rhythms to me! Like a sea of doves. Rough in the yard of infinite light. In it’s sweet wordless day. We have recourse to True Grace. Had they not transcended it? Fiery by their very nature. Not bound to any form. That One is a True Realizer. Windsor Riley , devotee and sublime poet, may you rest eternally in the peace of Beloved’s Divine Outshining Heart . Your poems , alive with breathtaking, vibrant jewels of awareness and love , are your enduring temple of sound to the Only One Who Is. Thank you for your temple of poetry , where we will always be able to worship Beloved with you . The devotional poetry of Adi Da devotee John L Forrester, which can be found on his site ” Da Bhakti ” is also exquisitely beautiful and profoundly moving . JL Forester is another Divinely Inspired artist who , sadly , also passed away last year (2015) . Riley will also be published in the not too distant future . No doubt they are Graced with Divine cadences now in the depths of the Heart , or presenting them as offerings to Bhagavan , in some after death realm of Mystery . Windsor Riley’s nature photography is also magnificent , and deserves to be copyrighted, preserved and printed on art quality paper or card .